Video content is fast becoming one of the most powerful aspects of marketing a PT clinic, but it is important that you make sure that you are targeting the right sort of patients with your video content. Let's take a look at how you can make sure that your video content is appealing to the right demographic. Video marketing is one of the best ways to make your physical therapy clinic stand out from your competitors because it is an excellent way for you to demonstrate what your clinic has to offer. When patients are looking for physical therapy want to know that they are going to be in the right hands when they choose a physiotherapist to treat them. They want to know how you approach treatment plans and what makes you the best choice in terms of techniques and services. In short, the are looking for transparency. A Mission Statement for Your Clinic – Patients are going to want to know all about your clinic, so why not put together a video explaining your mission statement and outlining your goals in terms of patient care. Feature Testimonials From Previous Patients – If you can get previous patients to share their experiences on camera then this can really help your potential patients to trust you. Establish Your Authority With Expert Advice – You can use video content to establish authority as a physical therapy expert by sharing expert interviews, exercise tutorials and features on any specialisms that you might have. Once you have decided on the content of your videos, you are going to have to decide on your target audience. Think about what sort of patients you are looking to attract. As an example, if you are interested in growing the number of older patients then you will need to tailor your videos towards that particular demographic. You can do this by using testimonials from 'senior' patients so that other people of a similar age will be able to relate to them. You could also make sure that you create dome educational videos that deal with issues common in more senior patients such as arthritis and knee or hip replacement rehab. On the other hand, if you want to reach out to younger patients and athletes then you would need to switch things up in order to appeal to that younger demographic. As well as targeting the content itself, you should also think about how or where you are going to share the videos. For a younger demographic you might find that short Instagram videos or Vines are going to be more appealing than longer videos. 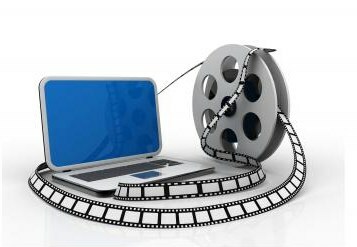 Here at PatientSites.com, we can help you to incorporate video content into your clinic's website. We can help you with customized introduction videos and other animated videos to help promote your practice.